When planning your next flight to Nashville, Tennessee you should know that a private jet charter through Charter Flight Group can save you the long waits in security and the hassles of crowded airport terminals. With over 30 years experience in providing private jet charter flights to Nashville and innumerable destinations worldwide, we offer the finest Luxury jets available. Whether your flight calls for a large jet, such as a Boeing 373 airliner jet, something much smaller, such as a Lear jet or simple turboprop airplane, or perhaps any kind of jet in between, we has what you need. The key to the success of Charter Flight Group has been a dedication to safe, comfortable, and reliable private charter conducted by professionals at every level. On the ground, we only use the finest certified maintenance crews to keep every jet in our fleet selection in pristine condition, ready for flight at a moments notice. Assisting us in this effort, we retain the services of world-renowned flight safety companies such as Wyvern and ARG/US. In addition, CFG carefully screens every pilot and flight attendant for professional and proficient service over many years. Any those who do not fit our rigorous hiring regime, must find employment with others. As a result, Charter Flight Group is able to offer safe, reliable, and comfortable private travel to all our clients, whether they travel by small private aircraft or jet. On booking your private jet charter to Nashville, Tennessee with any of our expert flight consultants, you will have a choice of either Nashville International Airport or John C. Tune Airport. In addition, you may need an on-demand flight, one-way, or be seeking an empty leg charter, Just speak with your flight consultants and let him or her know what it is you need and they will make the arrangements. CFG’s private air consultants can be reached 24/7 for your convenience. If you decide on Nashville International, your flight will take you to the southeast side of the city along the I-40 corridor just outside the I-440 Loop: To get into the city, simply head west on I-40.If you prefer the northwest side of Nashville, then perhaps John C. Tune Airport is the better choice, but be sure to check with your flying consultant for this is a smaller airport and cannot take all sizes of private charter jets. Getting into Nashville from John C. Tune is a simple matter of taking Briley Pkwy/Tn 155 south to I-40 east. 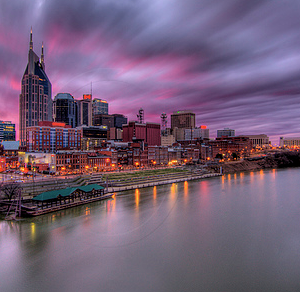 The Music City, Nashville, Tennessee is home to the Grand Old Opry and country music stars too numerous to mention. 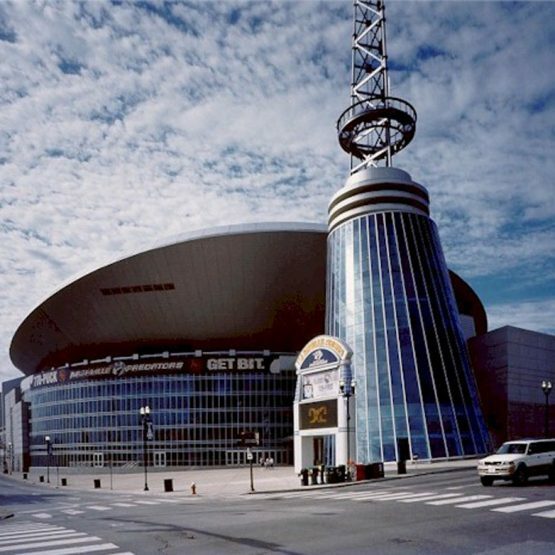 However, contrary to expectations, music is not the major industry in Nashville. Indeed, although country music does account for a major portion of the economy in Nashville, the largest contributor is healthcare, with over 250 healthcare and healthcare-related companies. As capitol of the State of Tennessee, government contributes in a major way to the economy of Nashville. In addition, the city has thriving finance, publishing, and insurance sectors along with some auto manufacturing operations such as Nissan. Rounding out the economy are Fortune 500 companies like Dollar General and Dell; numerous major religious groups such as the Southern Baptist Convention and United Methodist Church; and naturally, tourism. Of course if taking your private jet charter to Nashville for personal interests, the Grand Old Opry and Opryland are must sees. However, don’t forget the Lane Motor Museum, the Hermitage, and Belle Meade Plantation. Of course, as with any city of this size in the south, there are plenty of fine gardens, parks, and well-manicured, lush golf courses. Charter Flight Group knows that once you take flight with any of our amazing crews, you will simply fall in love with our luxury jets, our way of pampering our private charter guests, the smooth, relaxing charter flights conducted by our expert pilots, and the courtesy with which our superior consultants will arrange all your private charter plans. We also know that once you have chartered a private jet with us to Nashville, you will choose us for all your private air jet needs in the future.